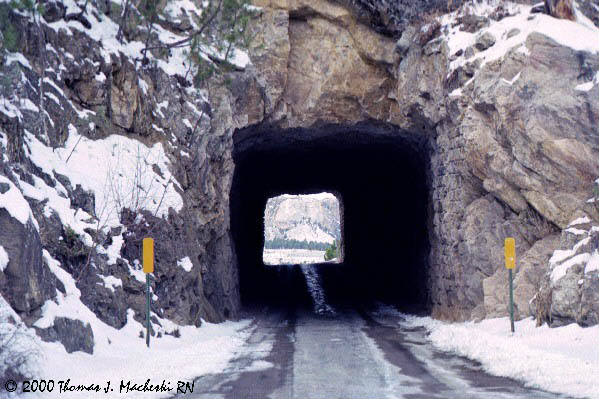 Scenic - Ramblings of Mad Shutterbug & the Border Collie Bros.
Further along the Iron Mountain Road (through Custer State Park)there are three of these tunnels cut through granite ridges, all of them sited such that they point the traveler towards Mt. Rushmore. Interesting Friday at work. That is all. Yes, they did. Also, I expect, a certain carefully selected amount of dynamite. Where was Phineas Gage all this while?